Founded in 1978, Mahaca Construction is one of the most highly respected construction companies in Houston, Texas and the surrounding areas. From our first project 30 years ago, our philosophy has remained the same: we deliver quality construction, on time and in budget. We understand how important trust is in a contractor / client relationship. Our clients rely on us to serve them while remaining ethical and responsible. 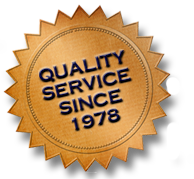 We have a track record extending many years, a record of integrity, expertise and customer satisfaction. Our commitment to provide high quality service and quick turnaround is proven by the fact that returning clients account for more than half our business every year. Our clients value the relationship we build with them and recognize our commitment to quality, budget and schedule. Clients who work with us for one project return to Mahaca Construction for all their future construction needs. We believe in “building” long-term relationships. "Thank you for your cooperative efforts throughout the construction of our Houston Division's office space... you were of tremendous assistance in accommodating design changes and GSA requirements. You have our gratitude for your help in ensuring the timely construction of this space." (Former) Director of the F.B.I.